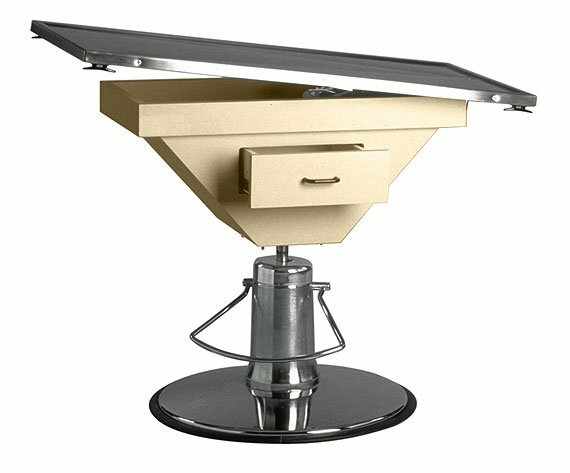 The VetLine Classic model surgery table is a PETLIFT original! A compact table that raises, lowers, and rotates 360 degrees. 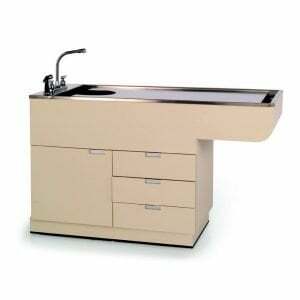 This flexible table is ideal for small spaces, or as a second table for exam, simple surgical and emergency procedures. Fully equipped with tilt-top mechanism and drain hole, this table comes with a convenient implement draw. 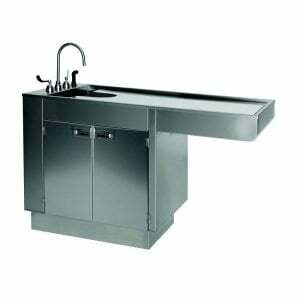 The raised-edge 16-gauge stainless steel top measures 22″ x 44″ and is furnished with four tie down resistant cleats.